Quorum ceiling fans like the Quorum Nikko ceiling fan are known to add a lively and decorative touch to a home. Quorum fans have durable blade and motor construction that guarantee a silent, whisper-soft operation and top-notch quality performance. These ceiling fans are available in a wide range of sizes, styles, and finishes for indoor and outdoor applications. The Quorum Windmill is available as an outdoor ceiling fan or an indoor rated version. Its rustic style reminiscent of a farm is a great fit for anyone looking to bring an element of comfort to their country-style porch or patio. This fan has been so popular that other brands have launched their own version of it to compete. Available in two sizes (60” and 72”) and two finishes (Oiled Bronze and Galvanized), we are certain you can picture this fan in your home. The Galveston is UL listed for wet locations and has blades made of Acrylonitrile Butadiene Styrene to withstand the elements. This jewel features lantern-style lighting and comes with a three-speed fan and light wall control as well as a manual switch on the motor. Customers love the “beautiful” Galveston and have remarked on its perfect placement in sunrooms, gazebos, and lanais. 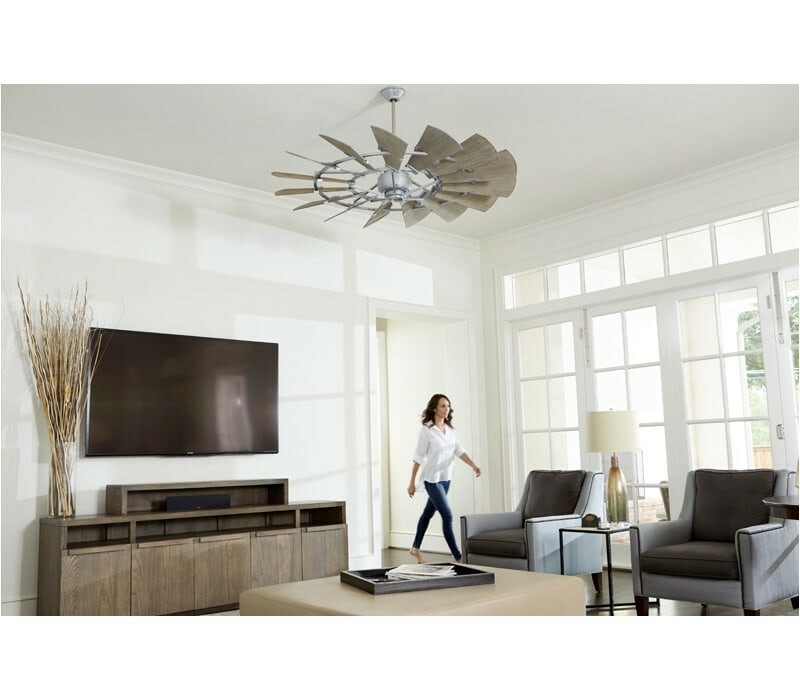 An up-to-date take on a vintage ceiling fan, the Quorum Chateaux is available with or without light kit, in two different sizes (52” and 60”) and up to 14 different finishes. Some unique finishes include: Vintage Gold Leaf, Toasted Sienna, Aged Silver Leaf, Satin Nickel, Persian White, and Oiled Bronze. If you have a traditional home and are looking to replace your original fan with something new, but not too new, this is a great choice. Look closely on the motor and notice the ornated detail that will enhance any traditional or transitional décor. For over 30 years, Quorum International has been creating unique and functional ceiling fans. Quorum ceiling fans are engineered to improve air circulation and provide a cooling airflow in any room of a home. However, these ceiling fans are also stylish enough to be the focal point of a room. Quorum fans are available in an array of size, styles, and finishes to complement almost any indoor or outdoor home décor. Quorum International takes great pride in creating quality products that enhance the look and feel of an indoor and outdoor living space. The manufacturer also offers decorative lighting and home accessories, which include accent mirrors. These products are designed to coordinate with and complement each other. Quorum ceiling fans enhance the feel of a room by efficiently circulating air and providing a cooling airflow, which allows users to rely less on traditional cooling devices. 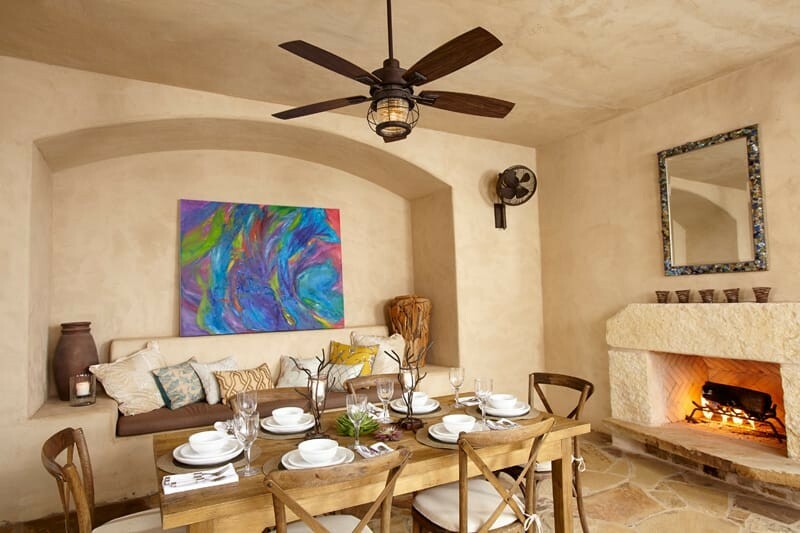 Ceiling fans manufactured by Quorum International are stylish, functional pieces that add a decorative touch. Whether a home has a classic décor or a contemporary scheme, consumers are sure to find a Quorum International fan that flawlessly fits their living space. Many homeowners are going the extra mile to save on home cooling costs. They are replacing their bulky cooling systems with ceiling fans to reduce energy consumption and save on cooling costs, without sacrificing basic home comforts. Quorum ceiling fans are ENERGY Star approved and are 20% more efficient that standard ceiling fans. Products like the Adirondack patio ceiling fan, Venture and Windsor can help homeowners save on home cooling costs. The savings are incredible and the feel is wonderful.